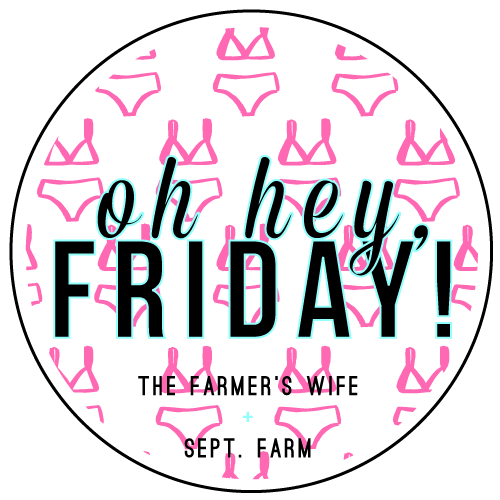 Yesterday I barely knew my own name but what I do know is today is FRIDAY! We've had the most wonderful week. So much going on it's a blur! It started out with a fun girls night in where we put on face masks, had lots of girl chat and drank wine. It's always good to spend some quality time with great ladies. My girl Jaime treated all of us facials with Perfectly Posh. I've been using the Cackle Spackle charcoal mask for weeks so I tried out the Calling all Fairies exfoliating mask and it left my skin feeling really soft and smooth. I also loved the sugar lip scrub, perfect for when the weather changes and my lips get dry. I swear all the girl's skin was glowing at the end of the night! I'll save you from the scary pictures of me in a mask with no makeup but if you follow me on Insta-stories @jewelryandjeans you probably got a good laugh! 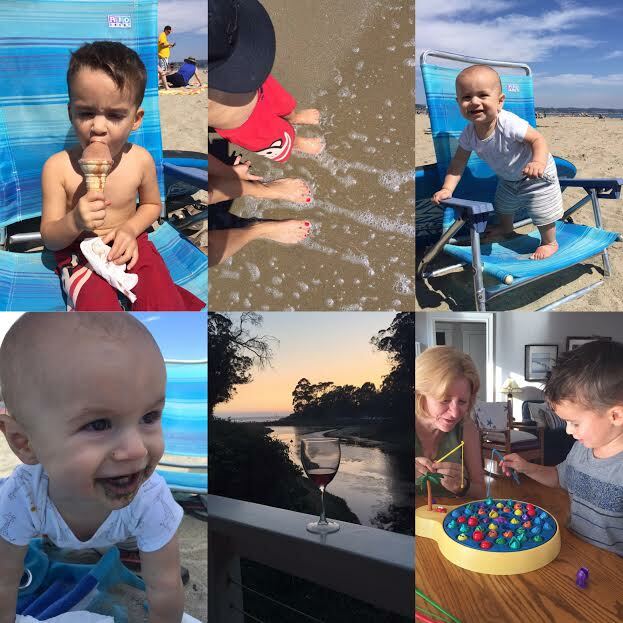 I was able to sneak away to Santa Cruz/Capitola area for five days with my mom. We stayed in the cutest little cottage right on the base of a river that lead out to the ocean. We played at the beach, ate ice cream, went on walks, played in the hot tub and just had a blast. I am beyond exhausting because if anyone ever says that taking two kids away for five days is a vacation, they're lying. It's so much more work but it's worth it to make all those great memories. Colton kept saying he wanted to stay for forever! I can't blame him. The first day was a touch chilly in the morning but other than that we had exceptional weather. Sunny and clear skies and lots of time building sand castles and chasing waves. Things go down hill quickly with these two! I took this cute little dress with me to Santa Cruz but never got a shot of me in it. It is off the shoulder and has a crochet scallop like hem. The best part is, the ribbing on the shoulder can be worn off or on the shoulder so if your not quite feeling like doing the whole strapless thing, you can still rock this super cute number. How great are all these dresses for transitioning into fall. Nordstrom has some of my favorites and they're having a huge summer clearance sale! Don't miss out. I came home to the sweetest and most thoughtful gift from my friend Annie's mom, Geri. Its called Rum Runner and it is a cocktail mix from a restaurant and bar in Tahoe, NV called the Beacon. I was first introduced to the drink by Annie and instantly wanted to go out and buy. It's the perfect summer refreshment. Now I don't have to mooch all of Annie's mix and can actually make some for our next Sunday funday. Thanks again, Geri! 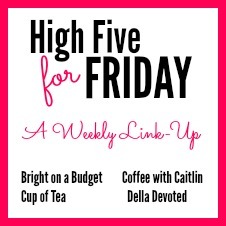 This week I am luck enough to be featured on High Five for Fridays hosted by Katie from Cup of Tea, Della from Della Devoted and Tif from Bright on a Budget. 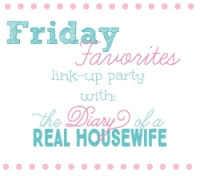 Every friday these ladies have a H54F linkup and I have been joining for a couple months now. I really enjoy getting to check out their blogs and all the other amazing bloggers who link up there. Thanks again for the feature, I love working with other bloggers who truly support and encourage one another. Be sure to check them out! So since it's now September I believe it is totally acceptable to put pumpkins all around the house, light pumpkin spice candles and of course, drink PSL (pumpkin spice lattes)! I had to stop and get my first of the season today. Are you all obsessed with fall like I am?